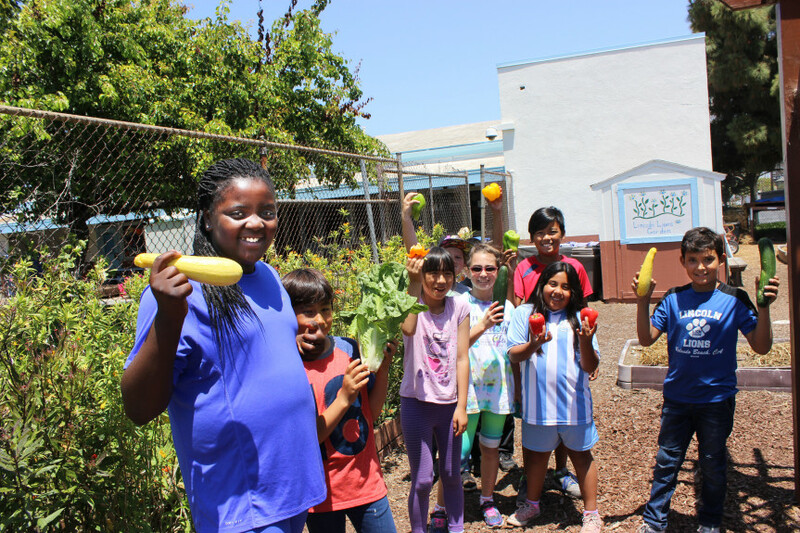 Several fourth graders at Lincoln Elementary School in Redondo Beach gathered in the school’s garden and enthusiastically chomped on vegetables, illustrating the farm-to-table and healthy lifestyle approach embraced by their peers and school and health district officials. Rather than filling up on sugary drinks or sweets, officials at the Redondo Beach Unified School District, Beach Cities Health District and parent-volunteers have teamed up to educate students about health eating habits. The results tell the story. Childhood obesity in the school district plummeted from 20 percent in 2007 to 6.4 percent last year and test scores have improved, said school district Superintendent Steven Keller. Los Angeles County has a childhood obesity rate of 22.4 percent. The students, like most children, didn’t magically decide one day to engage in healthy living. In 2006, officials from both districts were surprised to learn that one in five Redondo Beach elementary school students were considered obese, a rate higher than national average at the time. Alarmed by the findings, officials from both agencies decided to prioritize health and teamed up to reverse the trend. They launched LiveWell Kids, a nutrition and physical education program for students in kindergarten through fifth grades taught by 400 trained parent-volunteers and the schools. The lessons are reinforced throughout the district’s middle and high schools. Out went sodas and candy bars from school vending machines and in went water and low-sugar drinks. Fruits and vegetables were marketed to students during lunch times, emphasis was put on walking to school, eight minutes of morning exercise was added to the start of the school day and a garden were produce is grown and maintained by the students was added to each elementary school. Lessons include how food is marketed and the sugar content of popular soda brands. The parent-volunteers who teach several nutrition and gardening classes each year. In 2010, the program was expanded to preschoolers. “It’s an all day-long process from when they walk out the door to when they leave the school campus,” Steward said. On Friday, the Lincoln fourth-graders were munching on peppers, cucumbers and squash grown in the school’s garden. Each grade in the school tends t its own garden and corps. LiveWell Kids has made deep strides, Keller said, but getting everyone on board wasn’t easy. Some parents had reservations and others questioned the way body mass index – measurements which analyze weight versus height ratios – were taken. The Health District takes the BMI for students each year, Steward said, adding that Redondo Beach led the way in combating childhood obesity. Students have embraced the program to the point of calling out teachers who don’t exhibit good eating habits, Keller said, referencing two incidents where students scolded teachers – one for displaying a Coke can on a desk and another for placing a Snickers bar. Keller, who grew up with obese parents, said he has his daughter attend first grade in the district because he believes in the mission of healthy lifestyle. “You should want for all kids what you want for your kid,” he said. To view full Daily Breeze article, click here.